Unwanted guests are never fun, especially when you can’t ask them to leave. Luckily, Glendale pest control companies have no problem kicking them out. Whether there’s a rodent in your basement or insects in the attic, call your local Glendale exterminator to take care of them — do not try to wrangle them out yourself! Not sure which type of home pest control service in Glendale, WI can tackle your issue? Read profiles and ask about their past experiences to get a good idea. 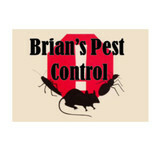 Brian's Pest Control as been proudly serving the Kenosha, WI metropolitan area for nearly ten years. Our locally owned business is conveniently open 24 hours a day 7 days a week to serve you with our effective pest control methods. 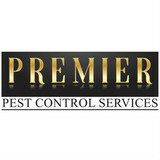 Premier Pest Control Services is one of the prime pest control companies in Brookfield, Southeast Wisconsin. We offer services to commercial, industrial and residential clients & also offer personalized pest management plans which are customizable to your unique needs and requirements. Affordable Bed Bug Exterminators offers two very effective ways to eliminate bed bug infestations. Each individual will have to determine which solution best fits within their budget, time frame and treatment commitments. 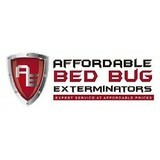 We are experts in bed bug extermination because it is the only thing we do. Affordable Bed Bug Exterminators is a professional bed bug exterminator in Milwaukee, WI. Our comprehensive bed bug exterminator services protect your home, family and pets. We also service Waukesha, Washington, Ozaukee and Racine counties. With our treatment plans, you can ensure that you’re eliminating rodents with the best possible methods. Don't worry about signing a contract, and FREE estimates are available. The chemicals we use to eliminate spiders are safe for the environment, pets, and kids. Get rid of those bothersome spiders without having to worry about your family's health. Stop into Milwaukee’s only professional do it yourself pesticide supply store where a live technician is always on site. Located at 8001 W Lincoln Ave. When a pest problem presents itself, it’s time to take immediate action. Waiting for it to go away or trying to get rid of it yourself will not only make the problem worse, it could be a hazard for you and your family. At Anderson, we take an approach to pest control that will solve your issues quickly – and in a way that is safe for you, your family and your pets. 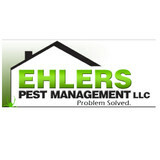 We are dedicated to solve your pest problems. Our technicians will work with you in every way possible to achieve that goal. whether its eliminating ants, silverfish, centipedes or pantry pests to mosquito control or raccoon/rodent removal Leave it to us. Doing it yourself doesn't always pan out. Rely on our knowledge and experience instead. We are a full service pest control and insect extermination company. We specialize in Mosquito control in the summer. ADVANCED WILDLIFE AND PEST CONTROL Inc. is a full service pest control and wildlife removal company that is entirely family-owned and operated. We have been in business in Southeastern Wisconsin for over 28 years. We service all of Waukesha County, Washington County, Ozaukee County, and Milwaukee County. Our services include animal relocation and removal, full range of pest control services, insulation removal, attic sanitation, bird prevention, deck trenching, animal feces removal, mosquito control services, home pest inspections, dead animal removal, and even basement sealing services. For over 50 years Safeway Pest Management has been serving the needs of its customers. We actively participate in the National Pest Management Association and the Wisconsin Pest Control Association. We belong to the Better Business Bureau with an A+ rating as well as the Medford, Waukesha and Muskego Chamber of Commerce. You can also find us on Angie's List. We are located in the Muskego Business Park in Muskego, Wisconsin.